It was, ultimately, the perfect performance – the perfect strategy – for this competition. Begin with an under-strength side, stay in the game and then send out the cavalry to do what they do better than most players in the world. This game was goalless when Maurizio Sarri introduced Eden Hazard just before the hour. Before the Belgian had even touched the ball Chelsea were a goal down to a Daniel Sturridge scissor kick. For a while it seemed as though Chelsea would go out. Liverpool were the better side for long periods of the second half. 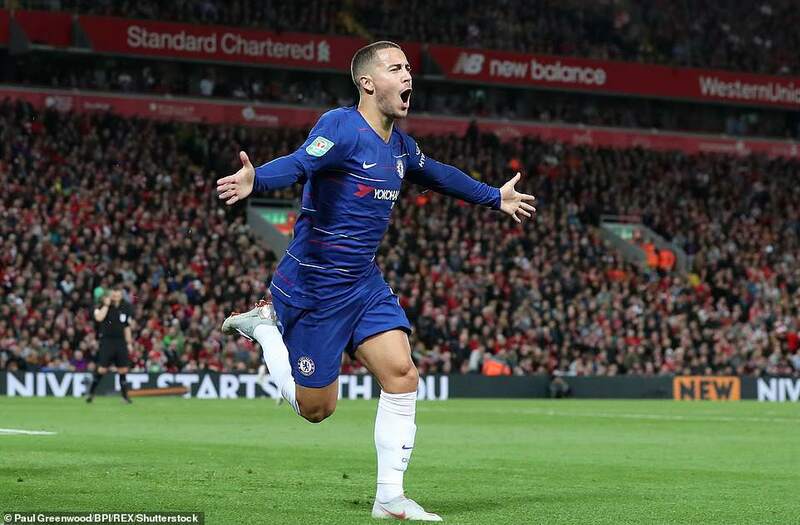 But after Chelsea full back Ederson equalised with 11 minutes to go, Hazard stepped up to score a goal of breathtaking quality that sent his team in to the fourth round. 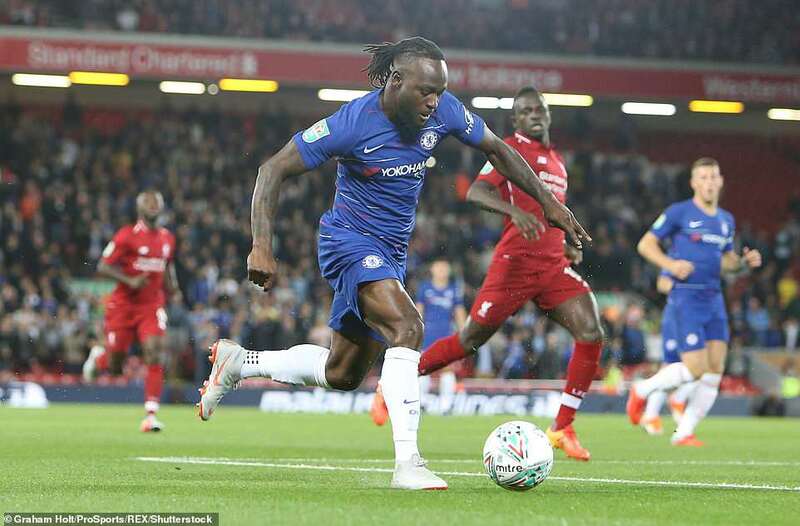 Chelsea wing back Victor Moses returned to Anfield on Wednesday having spent the 2013-14 season on loan at Liverpool. Sturridge’s goal was memorable but the winner was something else. Playing a one-two on the far touchline – the first pass being a nutmeg through the legs of Liverpool’s Roberto Firmino – Hazard received the return pass to turn, beat both Naby Keita and Alberto Moreno twice and drive a raking shot across Simon Mignolet and into the far corner with his right foot. 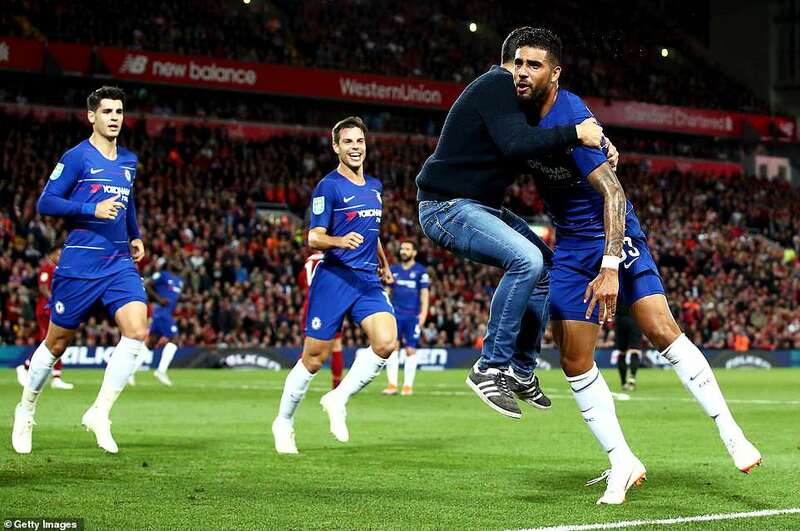 Chelsea merely enjoyed more possession and passed the ball better until Liverpool finally found a little of their true selves in the late stages of the half. 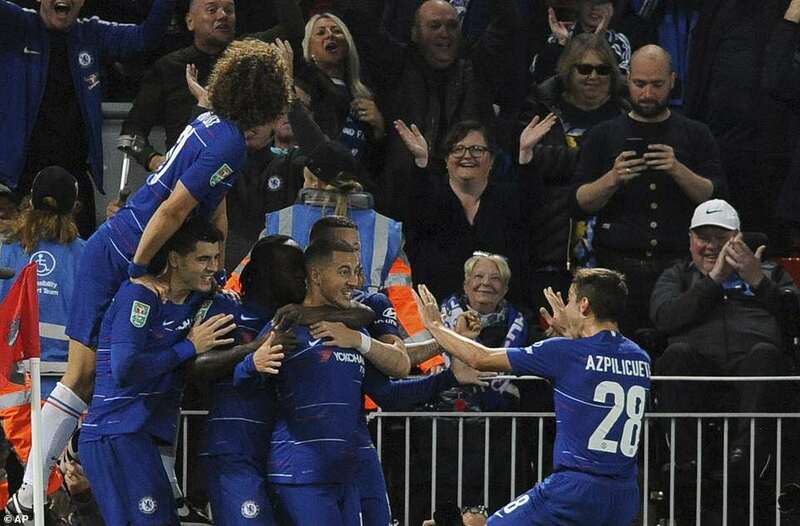 In the first 15 minutes the Chelsea attempts on goal were relatively harmless as Andreas Christensen headed tamely at Mignolet from a corner, Ross Barkley drove wide from 22 yards and then Willian exchanged passes with Alvaro Morata to draw another comfortable save from Liverpool’s No 2 goalkeeper. 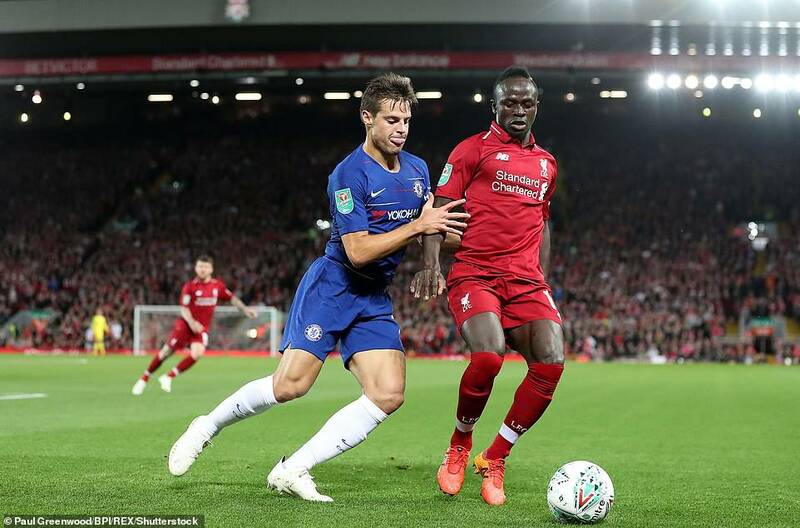 A super chipped pass from Fabregas in the 18th minute played Morata into space behind the defence and when Mignolet could only parry the Spaniard’s first attempt, he was relieved to see the follow-up driven across the face of goal from a tight angle.